00:00:59.01	penetrates, and initiates replication in the new host cell. 00:07:53.09	as I said, twofold axes, fivefold axes, and threefold axes. 00:10:03.10	canine parvovirus, a virus of dogs, as you can imagine. 00:12:22.21	that assemble as shown into an icosahedral structure. 00:12:42.03	them, forming the sort of assembly that you see here. 00:26:04.13	fivefold positions that are responsible for cell attachment. 00:33:19.03	to be a dimer in the case of the coat protein of TBSV. 00:35:43.16	case is discarded by proteolytic digestion in some cases. 00:43:33.20	come together as part of the elaborate budding event. 00:45:58.15	process: attachment and fusion of the two membranes. 00:48:44.16	triggered conformational rearrangement to drive fusion. 00:48:50.05	We'll be hearing quite a lot about that in the next part. 00:49:33.22	detail in Part 2 of this series. See you then. 00:00:37.13	surface or into an internal compartment of the host cell. 00:03:58.11	that they catalyze is reasonably stereotypical in all cases. 00:05:38.06	kinetic barrier, as suggested by these dashed, red lines. 00:07:29.26	called neuraminidase, and we won't talk about that today. 00:08:05.01	escape neutralization by the immune system of its hosts. 00:09:06.19	target cell membrane and is known as the fusion peptide. 00:09:13.06	C terminus that anchors the protein in the viral membrane. 00:15:52.25	stable, although once fused, they are even more stable. 00:18:29.05	the case of HIV and SIV, the hairpin is particularly simple. 00:22:42.24	from the red fluorophore that is inside the virus particle. 00:27:17.02	same is much more likely to be true of N parallel steps. 00:29:07.22	just where the fusion peptide tucks into the trimeric stalk. 00:31:59.07	bilayer of the virus with the lipid bilayer of the endosome. 00:32:39.00	doing. Thank you very much. 00:00:58.15	rotovirus, which we'll be talking about largely today. 00:05:05.15	uncoats, it has a polymerase and a capping enzyme. 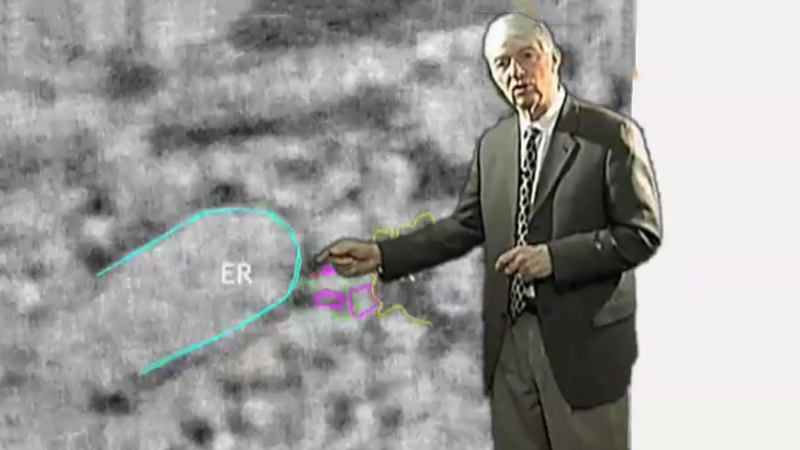 00:09:24.15	role in delivering the double-layered particle into the cell. 00:11:20.24	terminal part) is down here, and there are three of them. 00:13:02.00	cleavage then allows the rearrangement of this spike. 00:22:10.03	to design experiments to look at these subsequent steps. 00:30:40.23	rotovirus in the first place. And thank you. Harrison begins his talk by asking why most non-enveloped viruses and some enveloped viruses are symmetrical in shape. He proceeds to show us lovely images of virus structures obtained by x-ray crystallography of numerous viral coat proteins. Deciphering these structures allowed scientists to understand that viral coat proteins form multimers, such as dimers and pentamers, which in turn interact with a scaffold that ensures that the coat proteins are correctly placed. This arrangement results in symmetrically shaped viruses. In Part 1, Harrison also explains that enveloped viruses infect cells by inducing the fusion of the viral and host cell membranes. 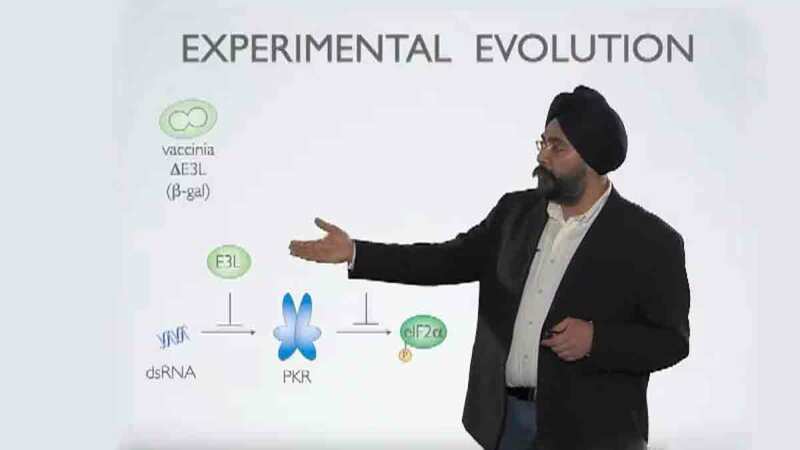 He delves deeper into the molecular mechanism of membrane fusion driven by the hemagglutinin or HA protein of the influenza virus in Part 2 of his talk. Non-enveloped viruses, on the other hand, must enter cells by a mechanism other than membrane fusion. This is the focus of Part 3. Using rotavirus as a model, Harrison and his colleagues have used a combination of Xray crystallography and electron cryomicroscopy to decipher how the spike protein on the viral surface changes its conformation and perforates the cell membrane allowing the virus to enter the cell. Harrison SC. Viral membrane fusion. Nat Struct Mol Biol. 2008 Jul;15(7):690-8. Harrison SC. Looking inside adenovirus. Science. 2010 Aug 27;329(5995):1026-7. A Comment on the two papers below..
Liu H, Jin L, Koh SB, Atanasov I, Schein S, Wu L, Zhou ZH. Atomic structure of human adenovirus by cryo-EM reveals interactions among protein networks. Science. 2010 Aug 27;329(5995):1038-43..
Reddy VS, Natchiar SK, Stewart PL, Nemerow GR. Crystal structure of human adenovirus at 3.5 A resolution. Science. 2010 Aug 27;329(5995):1071-5..
Settembre EC, Chen JZ, Dormitzer PR, Grigorieff N, Harrison SC. Atomic model of an infectious rotavirus particle. EMBO J. 2011 Jan 19;30(2):408-16.